Opinion | My Father Faces the Death Penalty. This Is Justice in Saudi Arabia. The kingdom’s judiciary is being pushed far from any semblance of the rule of law and due process. Mr. Alaoudh is a legal scholar at Georgetown University. Despite the claims of Prince Mohammed bin Salman and his enablers, Saudi Arabia is not rolling back the hard-line religious establishment. Instead, the kingdom is curtailing the voices of moderation that have historically combated extremism. Numerous Saudi activists, scholars and thinkers who have sought reform and opposed the forces of extremism and patriarchy have been arrested. Many of them face the death penalty. 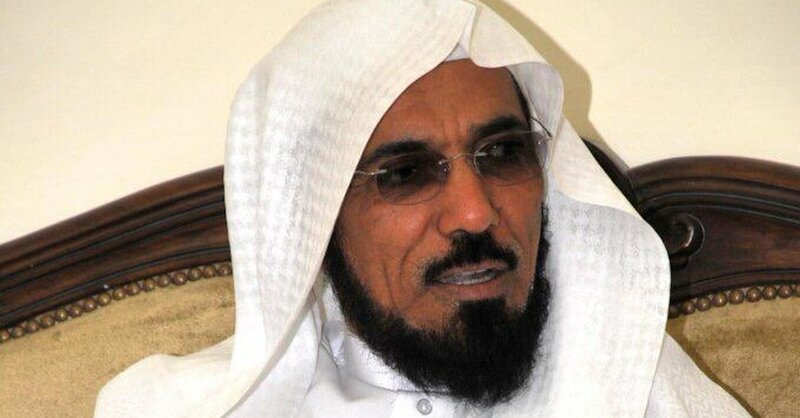 Salman Alodah, my father, is a 61-year-old scholar of Islamic law in Saudi Arabia, a reformist who argued for greater respect for human rights within Shariah, the legal code of Islam based on the Quran. His voice was heard widely, partly owing to his popularity as a public figure with 14 million followers on Twitter. On Sept. 10, 2017, my father, who was disturbed by regional tensions after Saudi Arabia, Bahrain, the United Arab Emirates and Egypt imposed a blockade on Qatar, spoke obliquely about the conflict and expressed his desire for reconciliation. “May Allah mend their hearts for the best of their peoples,” he tweeted. A few hours after his tweet, a team from the Saudi security services came to our house in Riyadh, searched the house, confiscated some laptops and took my father away. The Saudi government was apparently angered and considered his tweet a criminal violation. His interrogators told my father that his assuming a neutral position on the Saudi-Qatar crisis and failing to stand with the Saudi government was a crime. He is being held in solitary confinement in Dhahban prison in Jidda. He was chained and handcuffed for months inside his cell, deprived of sleep and medical help and repeatedly interrogated throughout the day and night. His deteriorating health — high blood pressure and cholesterol that he developed in prison — was ignored until he had to be hospitalized. Until the trial, about a year after his arrest, he was denied access to lawyers. On Sept. 4, a specialized criminal court in Riyadh convened off-camera to consider the numerous charges against my father: stirring public discord and inciting people against the ruler, calling for change in government and supporting Arab revolutions by focusing on arbitrary detention and freedom of speech, possessing banned books and describing the Saudi government as a tyranny. The kingdom’s attorney general sought the death penalty for him. Saudi Arabia has exploited the general indifference of the West toward its internal politics and presented the crackdown against reformist figures like my father as a move against the conservative religious establishment. The reality is far from their claims. My father is loved by the Saudi people because his authority and legitimacy as an independent Muslim scholar set him apart from the state-appointed scholars. Using Islamic principles to support his arguments, he championed civil liberties, participatory politics, the separation of powers and judicial independence.